We have been selling ReBOSSIS products in USA since February 2015. 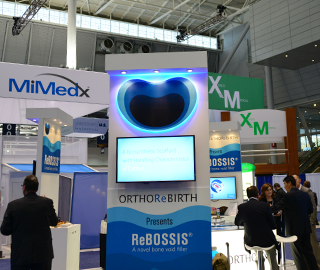 At first we started to wholesale ReBOSSIS products there, but since September 2016, when we established our affiliated business, ORTHOREBIRTH-USA, we have been selling ReBOSSIS products directly to medical users-hospitals and doctors. We actively introduce ReBOSSIS to GPO (Group Purchasing Organization for hospitals) and recommend hospitals to use ReBOSSIS for their medical scenes. The overall sales amount in the US Bone-Void-Filling Materials Market reaches more than 100 billion dollars, and the share of artificial-bone-materials in this market reportedly marks 45 billion dollars. In order to keep marking more profits in such a promising US Market, we continue to conduct more active sales promotional activities: For example, to introduce ReBOSSIS to doctors at business shows, to inspire our independent sales agents to sell more ReBOSSIS, to introduce ReBOSSIS through GPO to its member hospitals, to develop ReBOSSIS which can be used in the field of spinal diseases in addition to trauma field, etc. 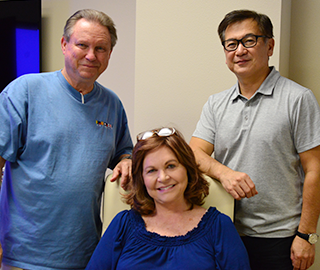 Mr. Doris Blake, CEO (center) and Mr. Bob Blake, Operation Manager (left) of ORTHOREBIRTH-USA, and Mr. Yasutoshi Nishikawa, CEO of ORTHOREBIRTH (right). 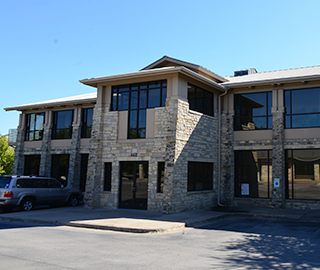 Office Building in Georgetown, Texas, USA., where ORTHOREBIRTH USA is located. Having our own business booth at 2016 NASS Exhibition and other business shows to promote our ReBOSSIS to medical experts.